I hired Carson Dunlop to complete a home inspection of a residential property I had put a conditional offer on. The engineer assigned was on time, friendly but most importantly knew his stuff. He identified a few areas to be addressed, but the most important was the condition of the roof. The MLS listing had indicated a new roof had been done 2 years prior. Upon inspection, it was found that the only area that had a "new roof" was over the garage, and not the house. In fact, the roof was in such poor condition at the back of the house, it wouldn't have lasted the upcoming winter! As a result, my real estate agent was able to negotiate an entire new roof into the sale, instead of getting a very nasty (and potentially very expensive) surprise. 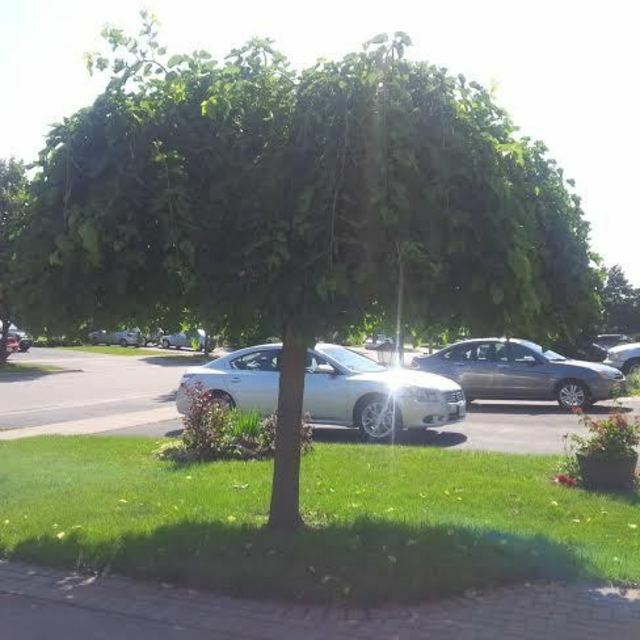 When I moved into my home, I found I had a mulberry tree in my front yard that obviously hadn't had a good trim in a number of years. It looked like a mammoth bird's nest because all of the branches were so tangled. It was bad enough that the tree was starting to die from inner most branches out, because there wasn't enough sunlight getting through. I called in a few landscapers and arborists. Mr. Riley had previous experience with Mulberry trees and was able to educate me on my options. He could tell where the problem areas were and what needed to be done to bring the tree back to health. 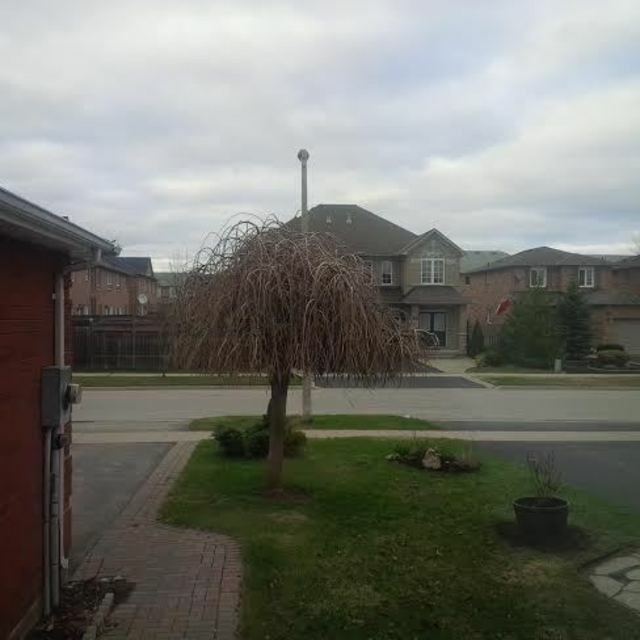 I was very happy with the results, the tree has bounced back and is thriving, and I will likely have Mr. Riley return next spring to make sure the tree's growth isn't getting out of hand again! Additionally, Mr. Riley completed the work within the time frame we had discussed and there were no "surprise" cost increases, the work was done exactly for the price quoted. I highly recommend M. Riley Tree Care Inc. I was moving into an 18 year old home and the previous owners had some very strange colour choices. I have to admit that I didn't really like the colours that Suzie suggested. Paint colours are a very personal thing, and Suzie did her best to try to get to know what I liked. I'm just thankful that I decided to get a "test" can of paint for her recommended living room colour because it was NOT what I expected. The colour we chose for the front hallway/stairway and kitchen is lovely and I'm very happy with it. I was referred to Rob at Vibrant Painting by the Interior Designer who had staged my home for sale. I had a number of different quotes from other companies, and found that Vibrant Painting was on par with the going rate. Having watch many "home reno" tv shows, I knew that going cheap often meant cheap workmanship, so I steered clear of the "discount painting" companies. Rob from Vibrant Painting came in to my home and provided a free estimate, and a potential timeline for getting the work completed. He provided me with 3 different quotes based on how many rooms I wanted him to do. There was no pressure in his approach, just a pleasant business like outline of the costs. I had Rob paint my main floor hallway, the kitchen, the stairway and upper landing. He completed the work on schedule with absolutely no hidden or unexpected costs. I'm very happy with the quality of the work, and will be having Rob come back in the near future to do additional work. I moved into an older home that had old wood-frame windows that were in desperate need of replacement. I had been referred to Advantage Windows & Doors, so I gave them a call. My call was answered promptly, and I soon had them come to my home for a free estimate. Measurements were taken, samples shown and the products described. I felt very confident that this company knew what they were doing, and took pride in their work. When the work was being done, the workmen took great care to respect my home, they didn't track in dirt from outside and they cleaned up after themselves. After the job was done, I was shown through, to ensure I was happy with the work (which I was! ), and was shown how to remove the window panes and screens for cleaning. I've had my new windows for almost a year now and I have to say they have made such a difference, both inside and out. My home is more energy efficient, and has a much nicer curb-appeal. I would definitely recommend this company!